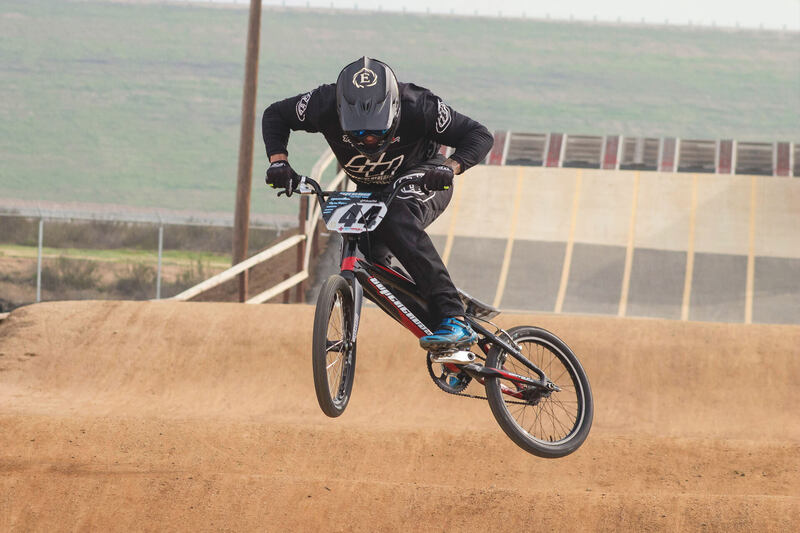 It was probably Rio where Anthony Dean really made us sit up straight and pay attention even though he has been a regular in the elite main for years now. 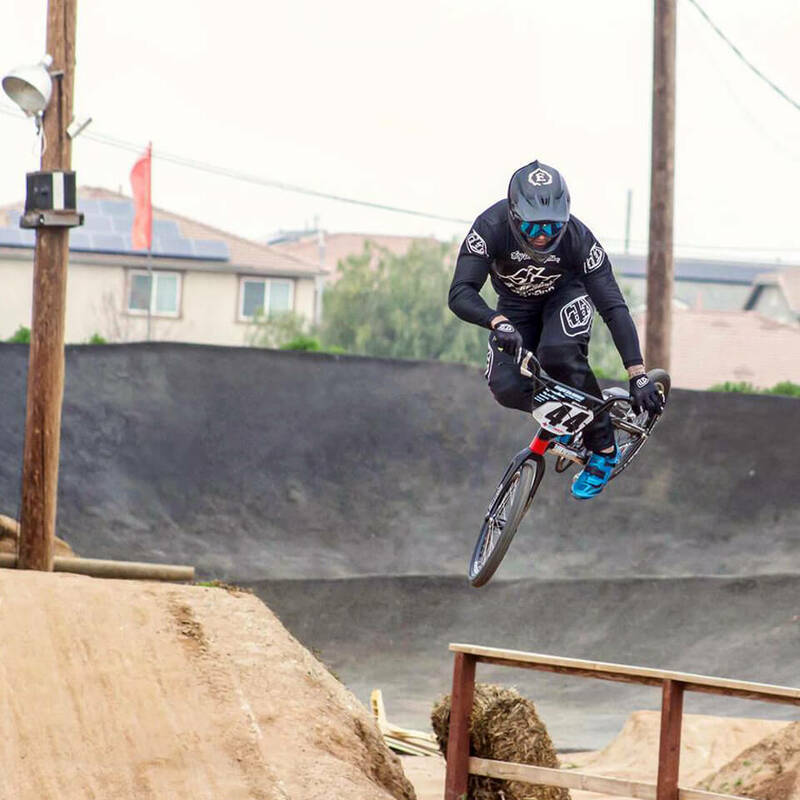 The Olympic final ultimately didn’t go his way but he then turned up in Tulsa and destroyed the 2016 USA BMX Grands … now he’s arguably the one to beat at any gate he racks up on. Dean: Looking back I should have gone outside from Sam and not lane 2 in-between Nic Long, who both have arguably the best starts. Next time around I’d have gone lane 4. 15: How much do nerves factor into who wins big events like the Olympics? The occasion has got to be overwhelming, especially for your first time? Dean: Huge obviously, someone who can rise to the occasion and believe they can win will win. 15: Did it take long after you crossed the line in Rio before Tokyo popped into your head? Dean: Not at all, it was the last thing I’ve thought about this last 8 months. 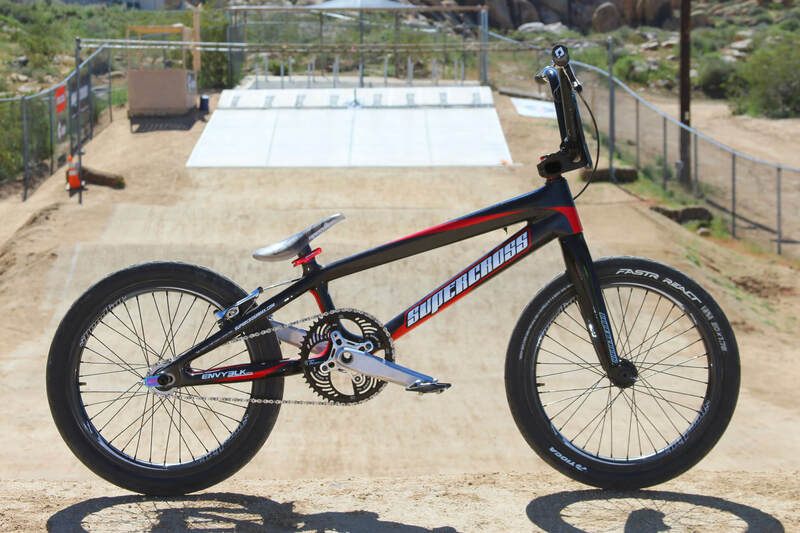 15: After Rio you disappeared for a while, for surgery we believe, then you reappeared at the USA BMX Grands and just smashed it … were the Olympics a motivating factor in Tulsa or was it just back to business as usual? Dean: Yes 100%, after the Olympics and going so well. I put a lot of confidence in my mind and the past 6 month’s I used that as pure motivation to work harder and really wanted to win, i.e. the Grands, I wanted to show myself I can win. 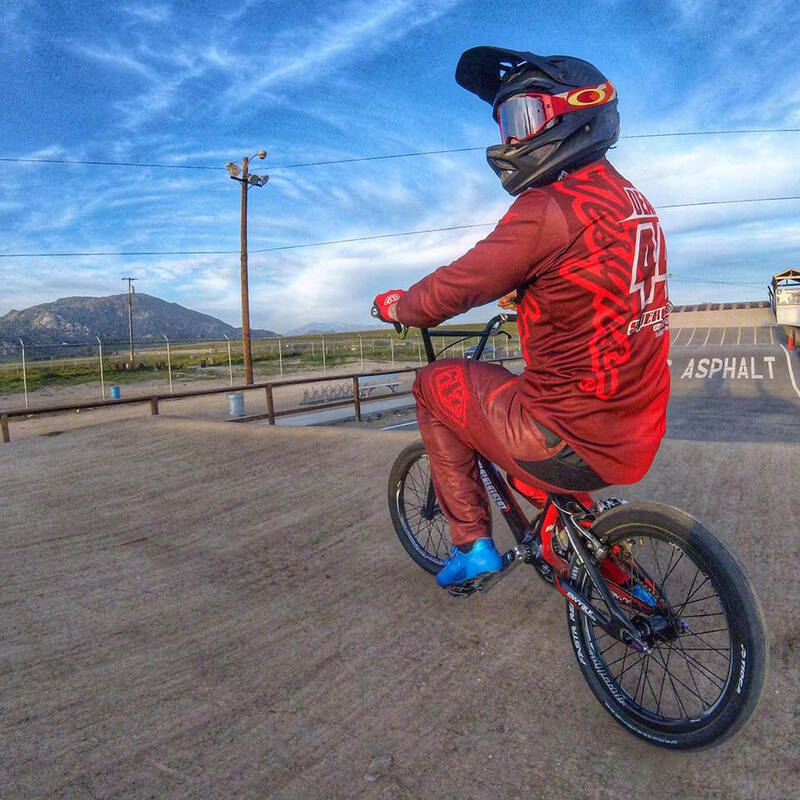 15: The start of this year found a few big names in Elite BMX, you included, without a bike sponsor … is it getting harder to find the kind of support in BMX needed to get to all these international events? Dean: Yes, It’s very hard to get a good bike sponsorship nowadays. The market is dry/saturated and nobody is paying the Pros anymore (besides the main few). So it has been quite difficult but having said that I am very thankful Supercross stepped up and gave me what I asked. 15: Will Supercross have a rider in the final for Tokyo? 15: Carbon is clearly the direction BMX is going, what advantages do you see it having over aluminium? Bill Ryan: Carbon’s advantages are so numerous it really isn’t funny. We are just scratching the surface of what can and will be done with Carbon. With the flexibility of the forming, the layups, the strength. Carbon has a big future in everything we do where there is a need for performance. Where Aluminium will fatigue and wear out, Carbon’s half life is almost infinite and really is a wonder material when done right. 15: How much time and effort goes into getting from the initial concept to the frame Anthony is now winning on? Bill Ryan: We started on the first variation of the ENVY BLK in 2010 or so. But the first carbon Supercross Idea was in ’92 and then we revisited it again in 2006 when we were trying to get Samantha Cools ready for the Olympics, but even then, carbon wasn’t ready for the big time that it is now. The advancement in the technology is amazing, so much changes with it so quickly. 15: The cost of carbon frames is clearly a road block for many, do you envisage the cost coming down in the future as demand goes up and production is streamlined? Bill Ryan: The cost of doing carbon right is a huge obstacle. We want to make sure that every part we ever build out of Carbon is stronger than anything else that could be offered in titanium, aluminium or Steel. And part of doing that is by building the best moulds. Internal and external. Many companies will build a cheap mould like you would use to make a chin or airdam for a car, it is old school fibreglass techniques, which is great for shaping, but not structural. You have to do it right with the proper grain, proper directional stress loads, the margin for slip, and for the high compaction. Those moulds won’t get cheaper, so the only way to bring the cost of that down is to sell more units. It’s a catch 22, to sell more units you need a more affordable price point, and to get the more affordable price point you need to sell more units. It is the old game of Chicken and the Egg. So no, I don’t see the high end carbon price dropping soon, as even if you pull the mould quote out of the picture, you still have the high cost of the high end resin and material. If you want great product, you have to pay for it. 15: Has the BLK V2 been conceived yet? If not on paper yet the thought has to be taking shape in your head … where to next for Supercross and carbon? 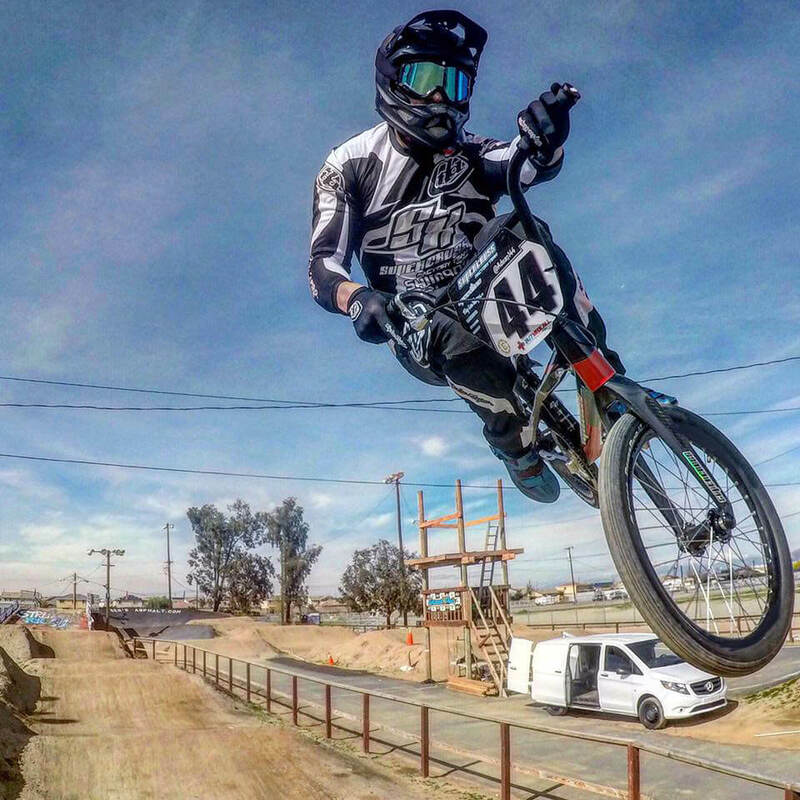 Bill Ryan: Has the BLK v2 been conceived, well that is a trick question, anyone who knows me and knows Supercross, knows I am a bike geek at heart, and the very second we finish with what would be the Ultimate design to many, I am already looking for the ways to improve it to give the rider the ultimate advantage. So again, that is a trick question, I would say keep watching what Anthony, Rachel, KJ, and the rest of the team start showing up on this season. I can tip you off that if you watch Bella Hammond’s and Wyatt Worth’s bikes in about 30 days, you will see some trick new Carbon Supercross Expert Forks ( only 12 ounces ) , and … well … let’s just say, keep your eyes peeled. 15: How involved are you in your bike spec, do you look for the best available parts, do you get involved in the colours, did you say to Supercross ‘I want to try those Speedline carbon rims’ or is it just a case of ‘this is what I got in the mail’? Dean: I pretty much go with the flow, I trust Bill and Supercross so I am happy with whatever comes to help progression. 15: 2017 started off brilliantly for you and Supercross in Phoenix. Day 1 you looked to be on fire other than a mistake in turn 3 … and in the mud on Day 2 you looked a different class. Did you enjoy the mud … the win helped we guess? Dean: I wouldn’t say I enjoyed it, but after making the mistake day 1, I was on a mission at all costs to win day two. Rain or Shine I was getting it done! 15: Florida didn’t go to plan but how you finished 2016 and started this year looks very promising … we think all your stars may have aligned for a big year ahead … what’s the goal for you this year, the US title, the Rock Hill Worlds? Dean: Thank you, I appreciate that. My goal focus this year is the World Title. Me, my coach and my sponsors all are working towards that and I am sacrificing most events and training through to be in the best shape of my life come worlds. 15: Will you be chasing the SX World Cup circuit or will that wait until Olympic points kick in? Dean: I’ll defiantly be doing the World Cup circuit. I enjoy that a lot so I will be at every round. 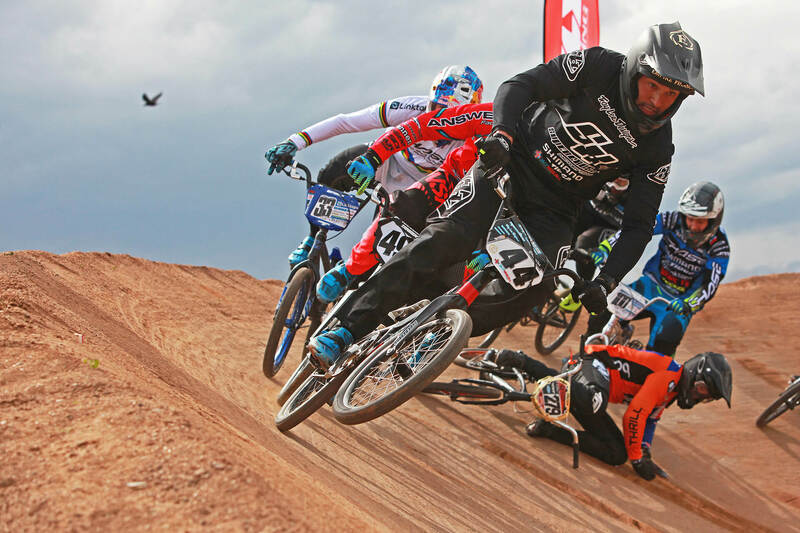 15: Given the opportunity to design your perfect track … would it look more like Papendal or Perris? Dean: More like Papendal, I enjoy that track.